Mandated by the EU Commission, ALLEA – All European Academies consulted YEAR in the review process of the EU Code of Conduct for Research Integrity. 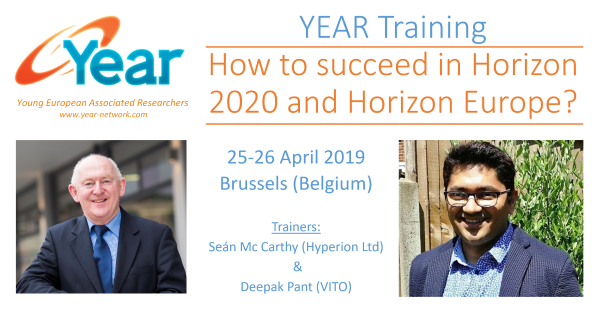 The YEAR Training will take place on 25-26 April 2019 in Brussels, Belgium and will be hosted by the SINTEF Brussels Office. Training fee is fully covered by YEAR for the researchers of YEAR member institutes! Are you involved in a research project that reaches out to other researchers, practitioners, journalists or citizens in an open and innovative way? Then please let us know! What can YEAR do for you? We want to know your opinion about our events and activities! Answer the survey before 10th of December. Preliminary results of YEAR Open Science survey are here! In the context of the first Open Science Policy Platform meeting, we issued a small survey asking the early career researchers from our member organisations about their view of Open Science. The results from our survey about Science 2.0 (2014) were cited in a book called “Open innovation, open science, open to the world”. The Slovak Presidency has among its priorities to foster talent with emphasis on young researchers, as they will be the new generation of scientists in Europe¹. Only one week left to apply to the OpenCon 2016! On November 12-14 the third OpenCon will take place in Washington, DC! YEAR participated the Young Researchers Conference 2016 in Brussels 13th of June. The YEAR Annual Conference 2016 was this year held in The Hague 18-19 April 2016. The first day of the event concerned the topic of Open Innovation, and the second day was reserved for a project idea competition.